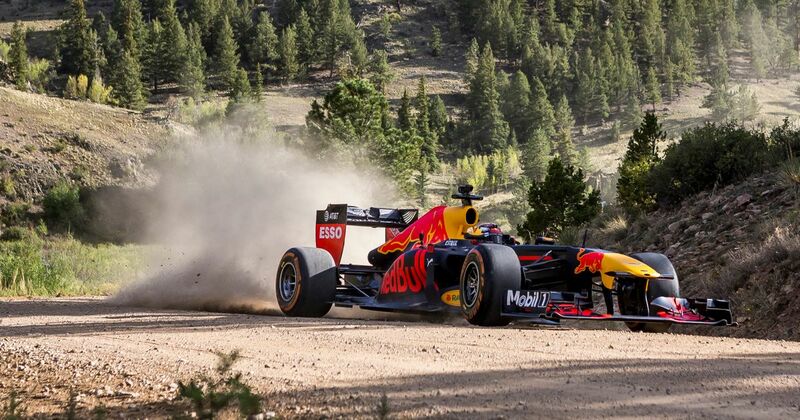 We’ve already seen Daniel Ricciardo driving from San Francisco to Las Vegas, now it’s time to see ‘Max Verstappen’ take an F1 car across the rest of the United States, going from Colorado to Miami (albeit missing out the all of the states in between). From the dirt roads of the Rocky Mountains to the soft sand of Miami beach, there’s some truly spectacular camera work in here. There’s something about seeing F1 cars in alien situations that’s just endlessly cool - especially when it’s accompanied by a V8 soundtrack. It’s slightly amusing that the video ends in Miami, too - it makes you think this whole video concept was shot to coincide with the announcement of a Miami Grand Prix. That now looks like it’s not going to happen, which is a shame, because going by this video, it looks like it would be an awesome venue. Can You Guess The F1 Track From The Aerial Image? Can You Guess The F1 Driver From The Valentine's Day Poem?